Cut Back, Don't Cut Out — Spectrum Health Services, Inc. Trying to eat healthy doesn't mean you have to give up the foods that you love. In fact, many people who try to completely cut out one of their favorite "bad" foods (such as bacon, oreos, Pepsi, etc.) 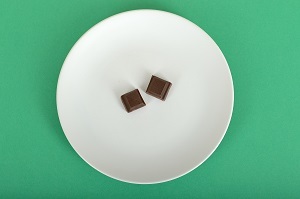 end up overindulging during a stressful situation, which then leads to feeling guilty or discouraged. Don't kid yourself. Life will give you stress. It's better to allow yourself a cookie or a soda every now and then to satisfy that craving than to completely deprive yourself and then later overindulge.